The pleasure of Spring—when the earth is reborn and the leaves reappear. 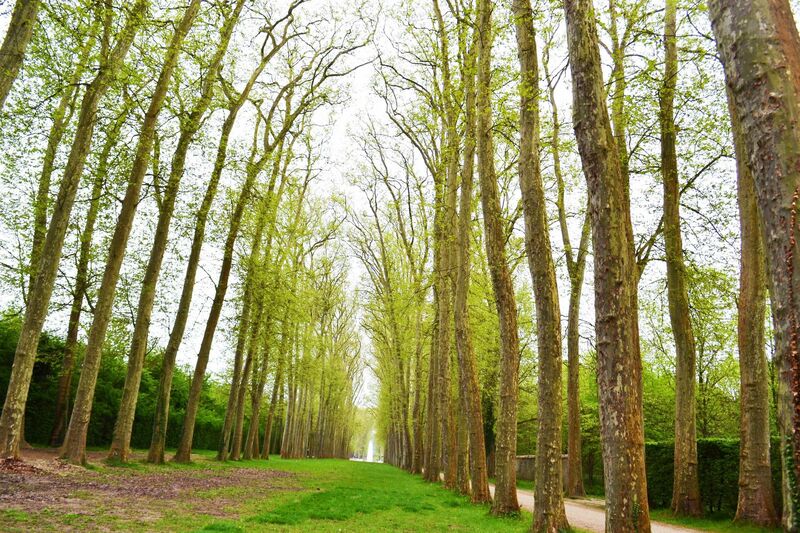 • Clean air — Trees remove … read more. 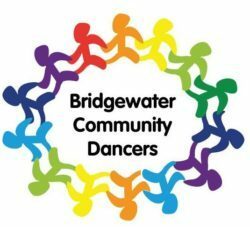 The Share the Plate Charity for June will be the Bridgewater Fund. At the Water Service earlier this year we heard from Claudio, BSU student who was having a difficult time financially. Some students are struggling with rising costs. They need opportunities such as internships to … read more. to donate specifically to this charity, make … read more. The Share the Plate selection for March is UU Mass Action. This is our state UU social action group, whose Mission Statement is “We believe our faith calls us to change the world.” Some of the issues being supported this year are: Climate Justice, End … read more. 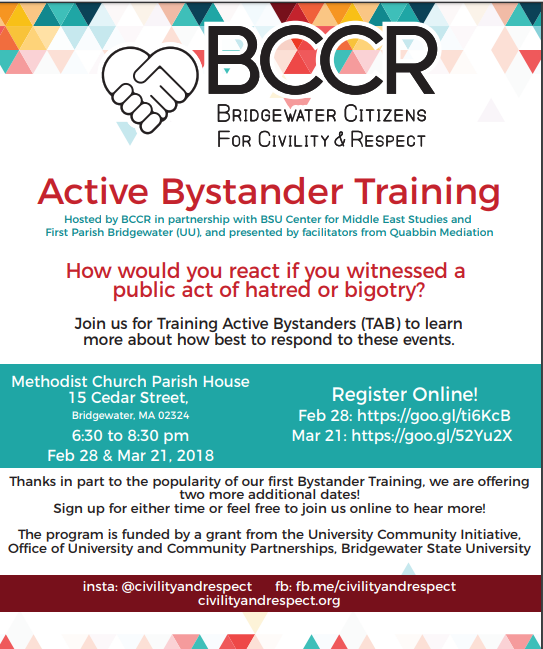 If you did not attend the first Bystander Training, please consider attending one of the sessions listed in the flyer from the BCCR. The share the plate charity for February will be in support of Black Lives UU, a special program of the UUA. Our morning service on February 4 will focus on The Promise and the Practice of our Faith for Black Lives of Unitarian Universalism. As part … read more. Members of the First Parish Unitarian Universalist Church at 50 School St. in Bridgewater celebrated the church’s 300th anniversary on Sunday, Oct. 22, 2017 with a rededication service. Parishioners from the First Church in West Bridgewater and First Parish Church Unitarian Universalist of Bridgewater … read more. September, featuring a mix of international folk dance and New England squares and contras. We have a steady group of 20-30 dancers, who not only enjoy the dancing (it’s great exercise! ), … read more. On September 23rd to 25th, Sean Cooper will be participating in the “Autumn Escape” ride for the American Lung Association which is a three-day ride from Plymouth to Provincetown to raise money for the ALA. This is Sean’s third ride for the ALA this year … read more. The Coalition for Social Justice (CSJ) is working on a campaign to address the extreme and growing problem of economic inequality in Massachusetts. They are working in coalition with many other organizations around the state in the Raise Up Massachusetts coalition. We at First Parish … read more.